According to the UN, an estimated 650 million people in the world live with disabilities. Together with their families, that means that about 2 billion people are directly affected by disability, rep-resenting over one third of world’s population. More people have access needs: elders and less mobile persons. Currently more than 100 million citizens in the European Union are aged be-tween 55 and 80 years, representing about 20% of the total population. For all of these people, travelling can be real challenge. By 2050 the number of people over 65 will be 3 times what is was in 2003. 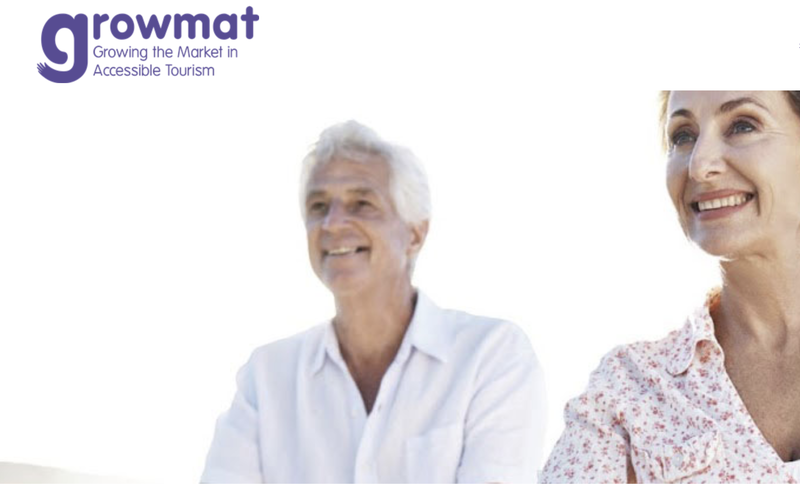 The Growmat project focusses on the promotion and development of Accessible and Inclusive Tourism. Business within the sector need to consider their service offer to maximise the quality of experience of those facing functional diversity of all types. Young people following hospitality and tourism vocational training need to develop new skills to ensure Accessible Tourism is em-bedded within their skillset to meet the challenges of an Ageing but Active population.